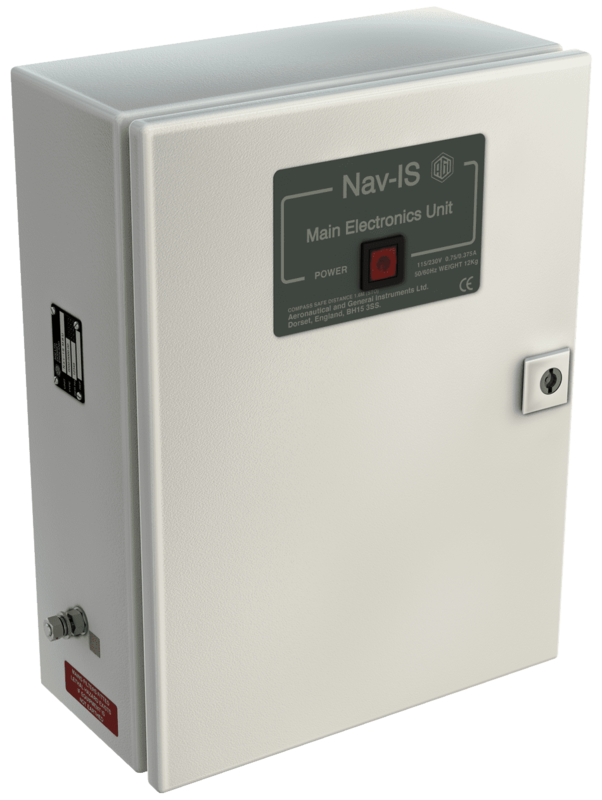 Nav-IS (Navigation Information System) is the latest addition to the AGI product range and combines a single or dual axis EM Log measuring Speed Through the Water with Meteorological System options for a low cost, integrated solution. Aeronautical & General Instruments Limited (AGI) have over 20 years experience and proven success with the design and manufacture of both Electromagnetic (EM) Speed Logs and ship based Meteorological equipment. Utilising the latest proven and in service solid state sensor technology, this innovative, cost-effective and accurate system has been specifically developed for all applications from Offshore Patrol, Coastguard and Naval support vessels to commercial ships. Nav-IS combines a single or dual axis EM Speed Log with a range of Meteorological System options for a low cost, integrated solution. Using the latest proven and in service solid state sensor technology, this innovative, cost-effective and accurate system has been specifically developed for all applications from ocean-going merchant and passenger vessels to offshore patrol, coastguard and naval support vessels. 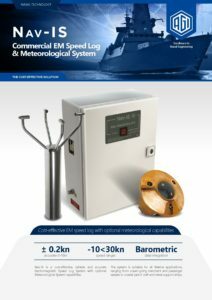 The system is fully flexible and can be provided either as a dedicated EM speed log system or provide any combination of speed through the water, wind speed & direction, air temperature & humidity, barometric air pressure or sea temperature functions. The optional Nav-IS Control & Display Unit in addition to clearly and concisely displaying all of the system functions, also has the benefit of being able display many other ship’s navigation parameters on multiple page formats, therefore alleviating the need for addition dedicated displays.